Dying in a Gun Homicide in Japan Is as Rare as Dying by Lightning Strike in the U.S.
Kevin Quealy and Margot Sanger-Katz of the New York Times compiled data on gun death that shows the United States as the outlier it is, at least among developed countries. The article was originally published in 2015, but there has been cause for recent updates. 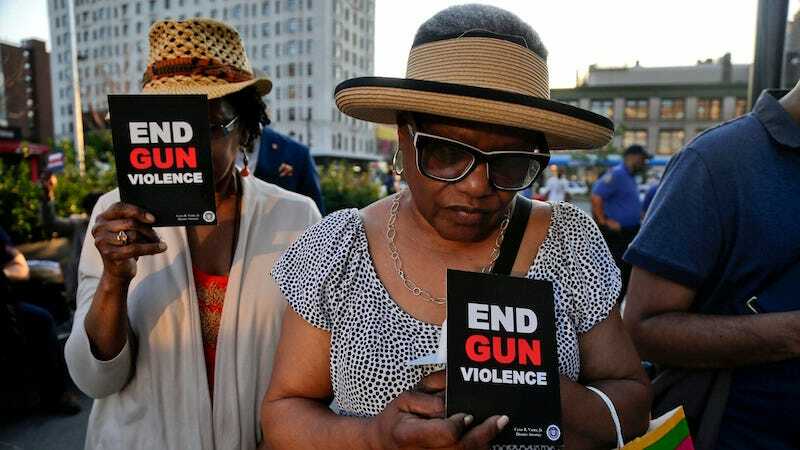 In parts of Central America, Africa and the Middle East, the gun death rates are even higher — close to those from heart attacks and lung cancer in the United States. In neighboring Mexico, where a drug war rages, 122 people per million die in a gun homicide, a rate slightly higher than Americans’ death rate from pancreatic cancer. But the countries with those levels of gun violence are not like the United States in many other ways, including G.D.P., life expectancy and education. In Germany, being murdered with a gun is as uncommon as being killed by a falling object in the United States. About two people out of every million are killed in a gun homicide... In the United States, two per million is roughly the death rate for hypothermia or plane crashes. In Poland and England, only about one out of every million people die in gun homicides each year — about as often as an American dies in an agricultural accident or falling from a ladder. In Japan, where gun homicides are even rarer, the likelihood of dying this way is about the same as an American’s chance of being killed by lightning — roughly one in 10 million. The charts created by the Times are even more striking visually, and you can and should look at them here. Until the next update.